The dance is a fusion of cultural dance from the Romanian people living in Spain with a mix of the different religions and cultures in Andalusia. There is even a rumour that there may be a Moroccan influence too. 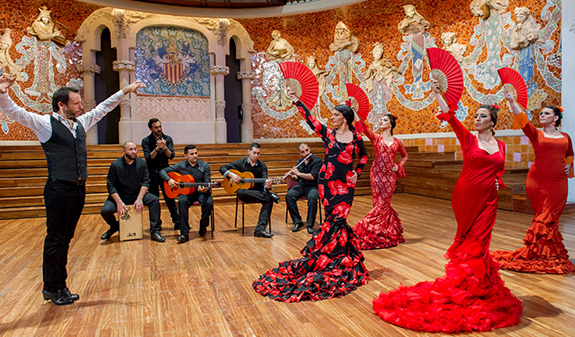 The name of Flamenco is thought to come from fire or flame and may have been used for fiery behaviour that could have been designated to the dancers. 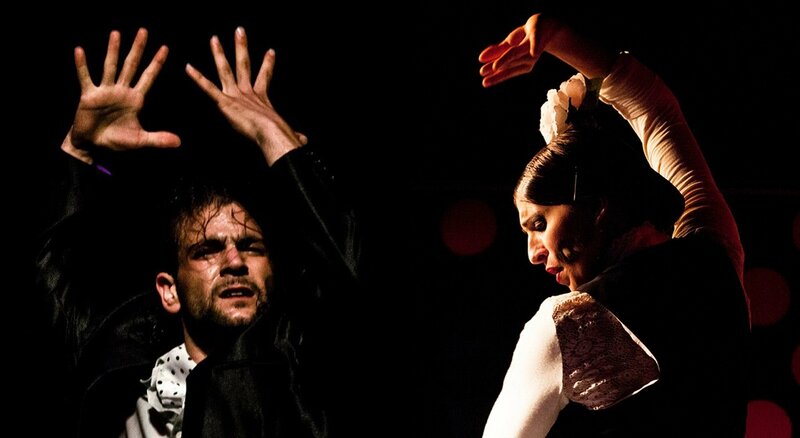 In traditional flamenco, young people are not considered to have emotional maturity and soul for the genre. Unlink most forms of dance, the peak for a Flamenco’s career is usually in their thirties or later. The dance was even declared a UNESCO Masterpiece of the Oral and Intangible Heritage of Humanity on November 16, 2010. 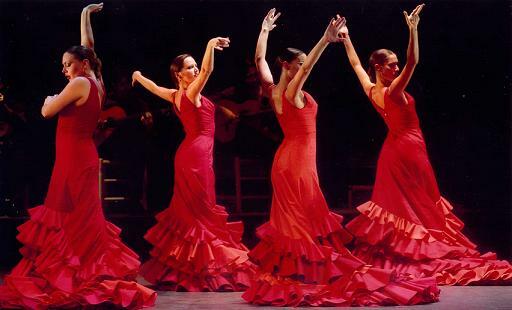 There are several types of Flamenco, but Baile is the most common type of Flamenco. It is often confused with tap dance and Irish dance, but has a completely different beat. The dance is commonly performed solo and is improvised on the beat and tune of the guitar, rather than choreographed. Ballet also has an influence on the dance. The arms of the dance are in the same style as Ballet. It is common that Flamenco dancers are first trained in Ballet then move on to Flamenco later on. In modern types Flamenco requires years of study and focuses on lighting fast footwork with absolute precision. 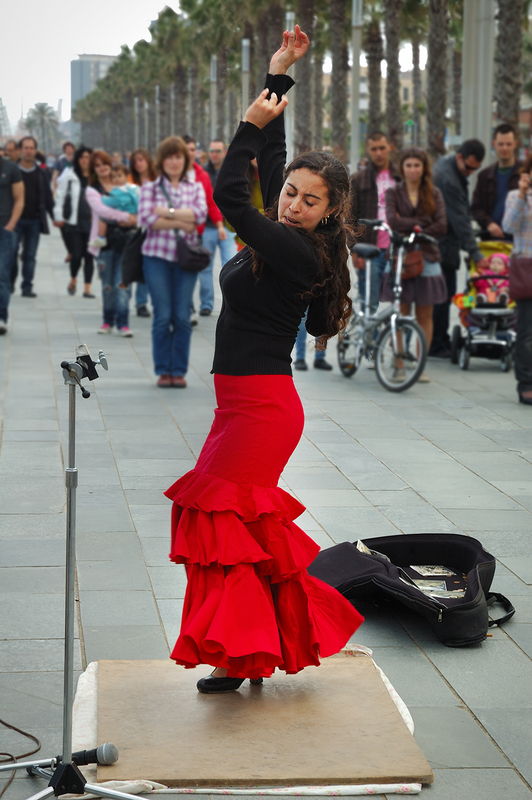 Props such as fans and shawls are rarely use in the Flamenco dance. Flamenco dancing is a cultural dance that originated from the southern part of Spain. But in recent years, has travel and grown in Barcelona. There are performances every night in Barcelona and you may even be lucky enough to find a Flamenco street performer. Enjoy a lovely stay in our family hotel in Barcelona!